Tel Aviv and San Diego, March 1, 2017 — Researchers affiliated with the Center for Cyber-Archaeology and Sustainability (CCAS) at the University of California San Diego have published new evidence derived from ancient ceramics that the Earth's geomagnetic force fluctuates rather than diminishing over time. The findings of a team from Tel Aviv University, Hebrew University and UC San Diego are contained in a study* published in the Proceedings of the National Academy of Sciences (PNAS). Six centuries of royal Judean stamped jar handles show their basic typology of the seal impressions and their ages (dating between 800 BCE and 200 BCE). The lead researcher on the paper, Erez Ben-Yosef, is a pofessor in Tel Aviv University's Institute of Archaeology and a UC San Diego anthropology alumnus (Ph.D. '10). Ben-Yosef did his doctorate under UC San Diego distinguished professor and archaeologist Thomas E. Levy, director of CCAS, and Ben-Yosef is an international partner of the Qualcomm Institute-based resarch center. 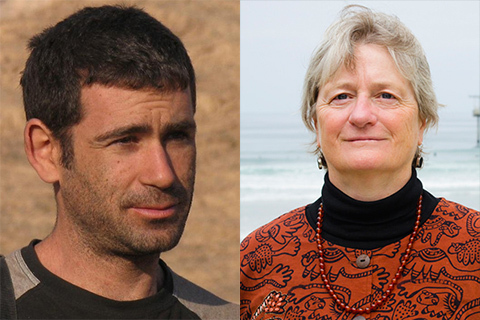 His co-authors on the paper included Scripps Institution of Oceanography distinguished professor Lisa Tauxe, CCAS's associate director for geoscience. "The field strength of the 8th century BCE corroborates previous observations of our group, first published in 2009, of an unusually strong field in the early Iron Age. We call it the 'Iron Age Spike,' and it is the strongest field recorded in the last 100,000 years," said TAU's Erez Ben-Yosef, the study's lead investigator. "This new finding puts the recent decline in the field's strength into context. Apparently, this is not a unique phenomenon -- the field has often weakened and recovered over the last millennia." "We can gain a clearer picture of the planet and its inner structure by better understanding proxies like the magnetic field, which reaches more than 1,800 miles deep into the liquid part of Earth's outer core," Ben-Yosef observed in a news release from Tel Aviv University. "The period spanned by the jars allowed us to procure data on Earth's magnetic field during that time -- the Iron Age through the Hellenistic Period in Judea," explained Ben-Yosef. 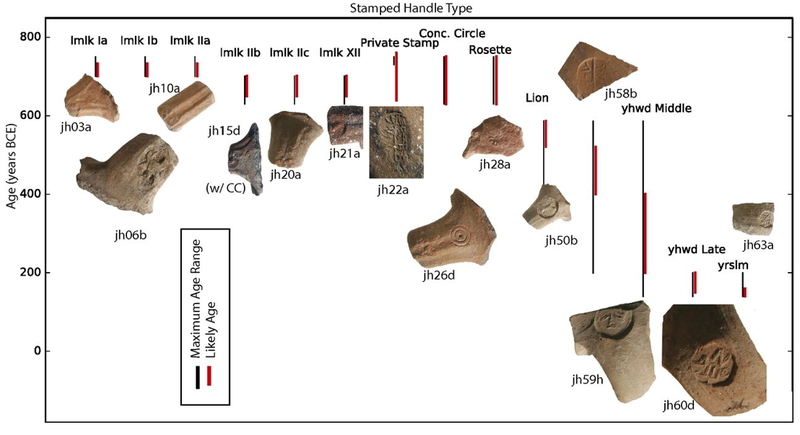 "The typology of the stamp impressions, which correspond to changes in the political entities ruling this area, provides excellent age estimates for the firing of these artifacts." To accurately measure the geomagnetic intensity, the researchers conducted experiments in Lisa Tauxe's Paleomagnetic Laboratory at Scripps on the UC San Diego campus, using laboratory-built paleomagnetic ovens and a superconducting magnetometer. 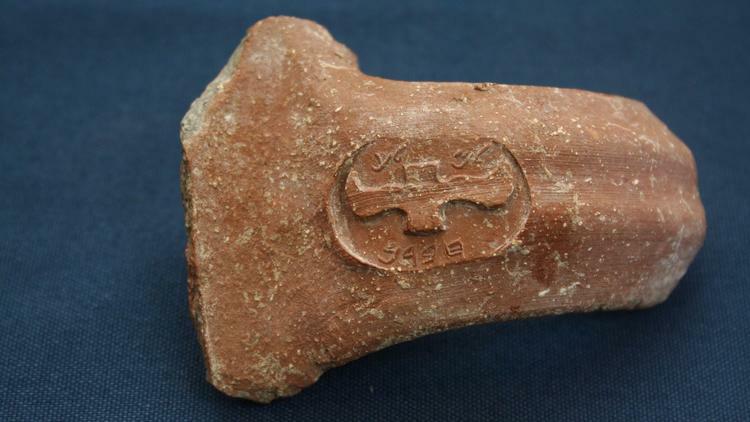 "Ceramics, baked clay, burned mud bricks, copper slag -- almost anything that was heated and then cooled can become a recorder of the components of the magnetic field at the time of the event," said Ben-Yosef. "Ceramics have tiny minerals -- magnetic 'recorders' -- that save information about the magnetic field of the time the clay was in the kiln. The behavior of the magnetic field in the past can be studied by examining archaeological artifacts or geological material that were heated then cooled, such as lava." Observed changes in the geomagnetic field can, in turn, be used as an advanced dating method complementary to the radiocarbon dating, according to Ben-Yosef. "The improved Levantine archaeomagnetic record can be used to date pottery and other heat-impacted archaeological materials whose date is unknown," he noted. "Both archaeologists and Earth scientists benefit from this. The new data can improve geophysical models -- core-mantle interactions, cosmogenic processes and more -- as well as provide an excellent, accurate dating reference for archaeological artefacts." The researchers are currently working on enhancing the archaeomagnetic database for the Levant, one of the most archaeology-rich regions on the planet, to better understand the geomagnetic field and establish a robust dating reference. Editor's Note: Parts of this article are credited to a news release published by the American Friends of Tel Aviv University.